Ten pilots attended, and nine aircraft actually flew. Nigel Crabtree had no luck with his Spearfish, ditching twice, and Andy Housden had to work really hard to make a competitive flight score with his trusty Seamew, ditching once and making a very uncharacteristic ‘Nul Points’ landing on his other flights. Nontheless, his 188.4 points certainly set a challenging target, and after all the other entrants had flown only one other pilot could better it. 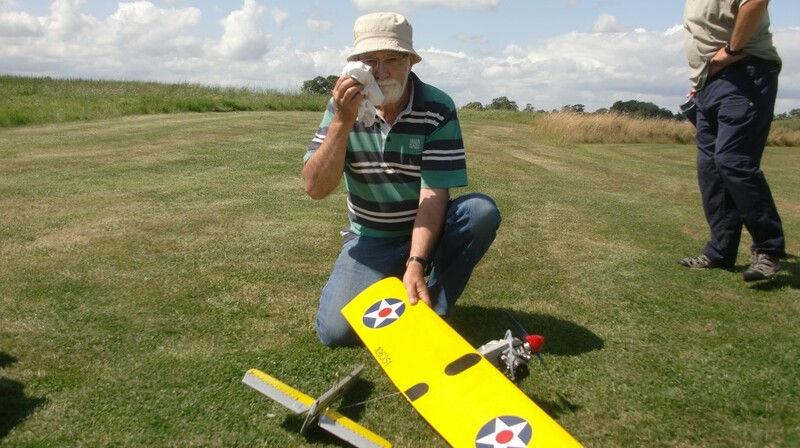 Ian Gilbert conjured up an excellent second flight with his Wyvern (smallest engine there, a .25) to clock 192.1, which was the winning score, in his usual calm and assured manner. However, it was third place man Trevor Tabor that turned out to be the ‘man of the match’. 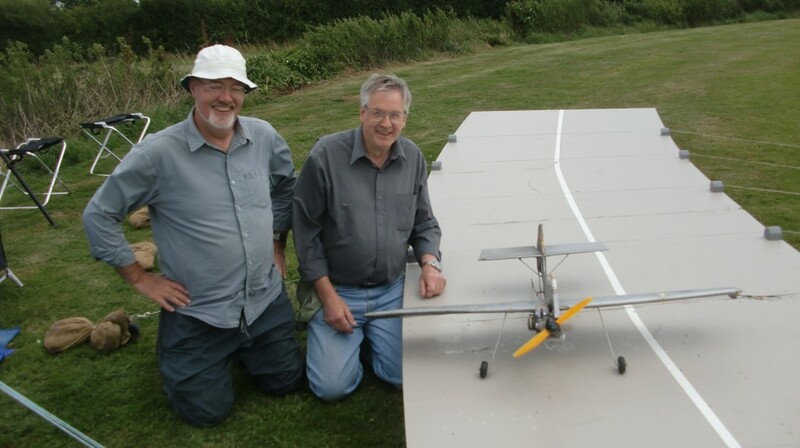 Trevor originally built and campaigned Andy Housden’s well-used Seamew, and had much success with it until giving up Carrier flying several years ago. He just happened to be at the club on Sunday, and before he knew it he was in the centre circle, squeezy handle at the ready, with his old favorite on loan from Andy, revving up ready for launch! 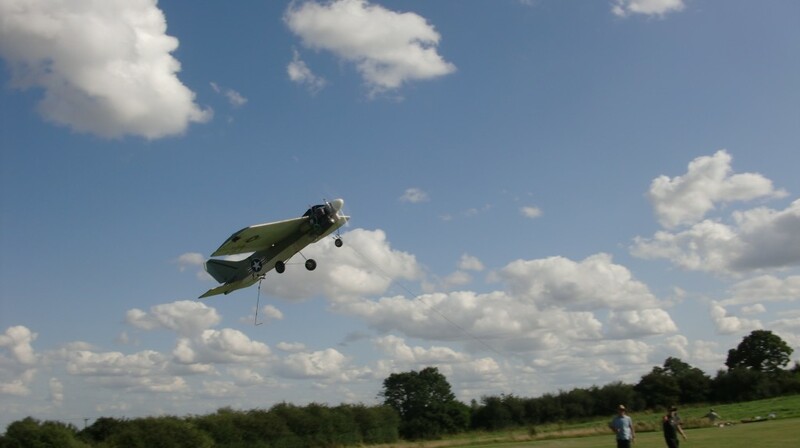 Class will always show, and Trevor’s second flight made a cracking 182.9 points, picking up a totally unexpected but richly deserved third place – maximum respect to a great builder and pilot! After clocking 121.98 on his first flight, Fred Skinner tried to do better but discovered that his MO-1 needed reinforcement in the rear fuselage when it broke in half after what looked to be a fairly benign stall-in – as you can see from the picture, it brought tears to his eyes! Your correspondent was plagued by several self-inflicted problems, which left him flying aerobatics with his Hellcat whenever it went upwind (that great big flat-bottom wing and an aft CG! ), then having another Old Warden moment with the Wildcat, which had to be landed at full speed when the throttle stuck wide open. 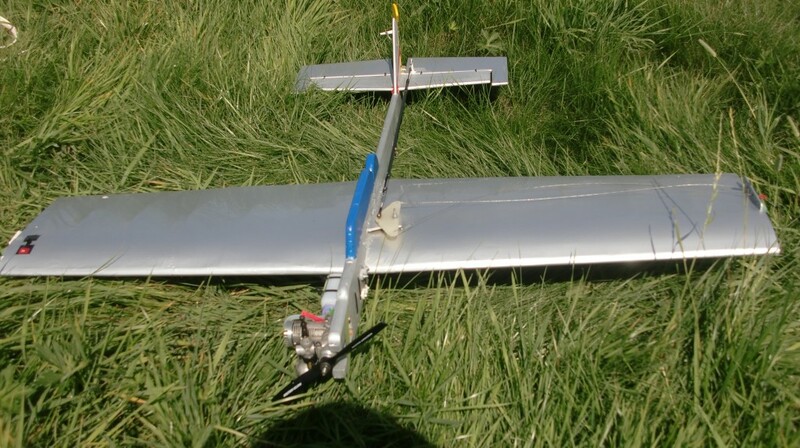 The 125.4 points from that were enough for sixth place, but he then managed to stall the long-suffering Wildcat in on its last flight, breaking the foam wing in half. Propping up the results table with two low-scoring flights (his best was 44.7) was Andy Green and his Hellcat (a very rare thing for him, but understandable as he was fully committed to running the meeting for us), with Nigel Crabtree and Brian Hunt in ninth and tenth places with DQs. 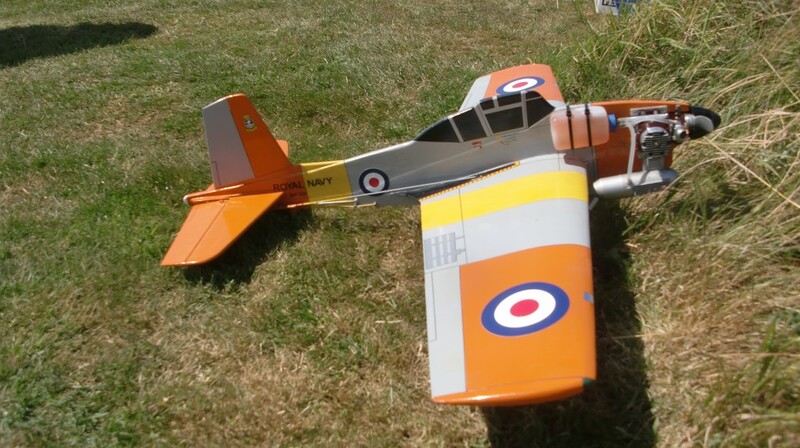 Brian’s Balliol is a beautiful profile scale model (see picture below) – the finish and decoration are simply superb, and he just needs a little bit of good fortune to notch up his first scoring result. 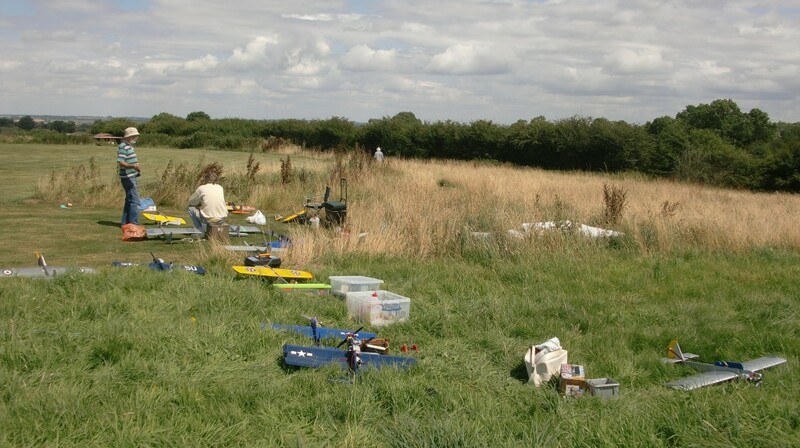 Everyone agreed that it had been a very good day’s flying, made very interesting by the strong wind after several meetings held in virtually flat-calm conditions. Sincere thanks are due to the Leicester MAC and Andy Green for running the event so well. Andy presented the top placemen with some nice bottles of wine, and the pilots launched themselves back to their bases to prepare for – THE NATIONALS!